Owner of his own photographic and adventure company, John has been camera in hand for the past 30 years. He is a specialist Nature and adventure sports photographer with a passion for all sports and strives to capture the passion and excitement of his subjects in his pictures. 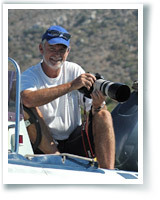 Apart from John's commitment to Cape Town Sport Photography, he is regularly published in various Newspapers, Magazines and Websites including The Argus, False Bay Echo, Peoples Post, Laduma, Burger papers, MSN, Paddler, Bicycle SA magazines and Western Province Canoe Union, New Balance Sports, Cape Info, Peninsula Canoe, Surf Ski SA websites.